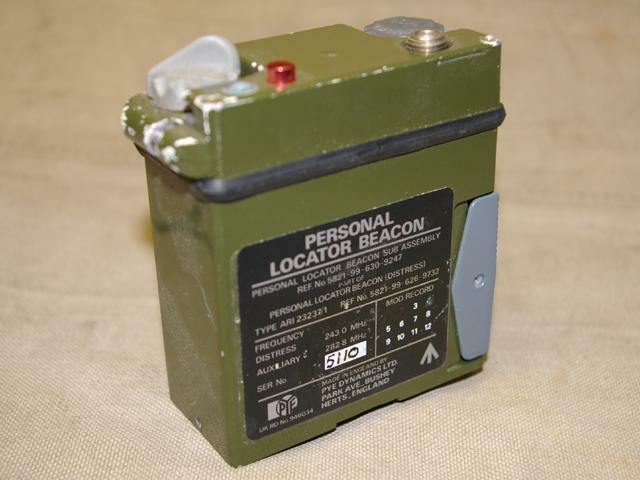 Made by PYE Dynamics Limited, in England the Personal Locator Beacon type ARI23237/1 was mainly used by military pilots. A personal locator beacon is a device that when activated automatically transmits a signal on a internationally monitored frequency. This emergency frequency is constantly monitored and should a beacon be heard, help is sent out to locate and rescue the person in trouble. That said the authorities would be extremely annoyed if the unit is activated by unauthorised people and for no good reason. 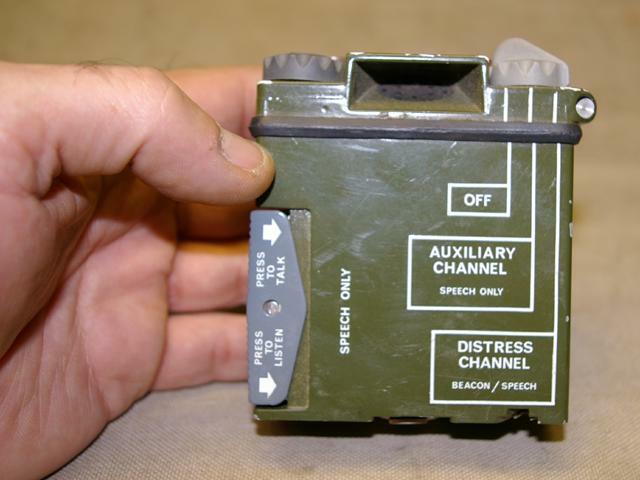 The PYE ARI23237/1 provides distress beacon and two way voice communications facilities on the 243 & 282.80 MHz military distress bands. A rotary switch on top of the unit selects power on/off, Distress & Auxiliary Channels. The Auxiliary channel is on 282.80 MHz and is Speech only. The distress channel is on 243 MHZ and is the automatic Beacon or Speech. A volume control and a push button self test facility are also provided. 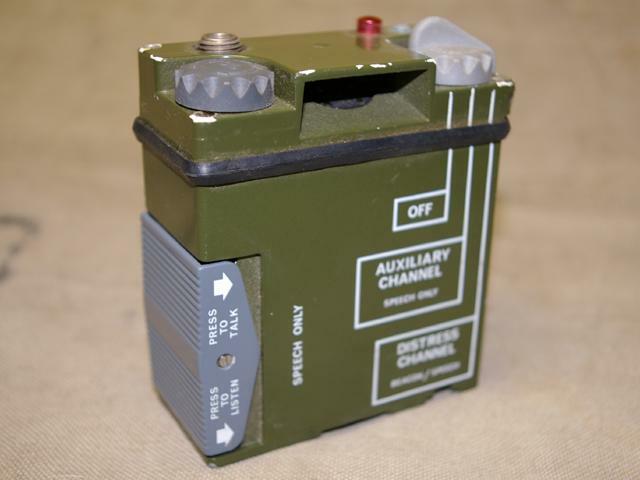 The unit is powered by a 12 Volt battery not available and has a transmitting range of 3Km. The unit is supplied in good looking condition with-out any accessories. The pull cords, battery, antenna or a manual are not available. Dimensions: 80mm x 90mm x 35mm, Weight: 0.5 Kg. NSN: 5821-99-630-9247.